Kevin touched on Mick Foley’s passionate anti-Hell In A Cell promo from RAW. While I agree Foley showed passion in his speech, I had a different take away on the segment. After listening to Mick rant for ten minutes, I was thinking he’s even more crazy than I thought. Mick brought up his injuries from wrestling inside (or more accurately, on top of) Hell In a Cell. If there’s any wrestler who can blame injuries on the “demonic cage” it is most certainly Mick Foley. Being thrown off the top as well was falling through the top of the cage (twice), Mick can definitely make the claim the Cell shortens the careers of those who step through it’s menacing door. Except history would refute those claims. 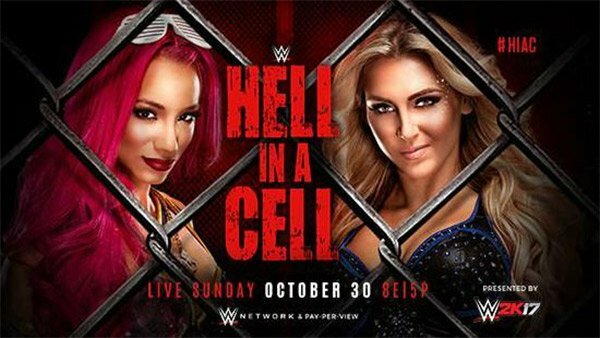 Prior to this year’s Hell In A Cell show which features a TRIPLE MAIN EVENT OF THREE HELL IN A CELL MATCHES, there have been 30 HIAC matches since its debut on October 5, 1997. Of the wrestlers who have competed in HIAC matches, only CM Punk hasn’t had some sort of physical activity inside a wrestling ring in the past two years. For a match that is so dangerous none of the other participants seem to have any long term negative effects. Also, if HIAC is so dangerous, why does WWE trot it out every year for a pay per view and treat it as any other gimmick match instead of the feud ending necessity which was it’s original purpose? As Kevin and I discussed on episode 101 of the My 1-2-3 Cents podcast, on this year’s show none of the TRIPLE MAIN EVENT matches NEED to be inside the cage. The matches are taking place inside HIAC because it would be pointless to have a show called Hell In A Cell and not feature any HIAC matches. 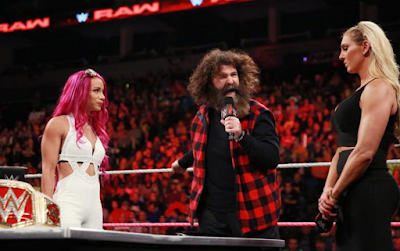 While Foley tried to express how dangerous a match that’s treated with as much danger by the participants as any normal squash match, the other aspect of the segment that took me out of the story being told was the look of boredom on both Charlotte and Sasha’s faces. Not only did they appear to not be listening to Foley, when they spoke, they rattled off what sounded like emotionless overly scripted promos. At the end when Sasha told Charlotte, “I’ll see you in hell!” it came off with as much impact as Tommy Wiseau screaming, “You’re tearing me apart Lisa” in The Room. While I have no doubt the match between Charlotte and Sasha has the potential to steal the show (and I think it should be the main event), the go home segment did very little to sell me on the intensity or danger of the match itself.